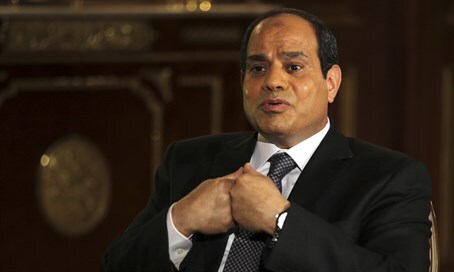 After a three year hiatus, Sisi undoes Morsi's protest over operation Pillar of Defense. Former president Muhammad Morsi removed the previous Egyptian ambassador in protest of Israel's November 2012 Operation Pillar of Defense in Gaza. Morsi was later deposed and replaced by President Abbad Al Fatah a-Sisi, who has much closer relations with Israel. "This past weekend a new Egyptian ambassador arrived to Israel, Hazem Khairat. I welcome his arrival; I welcome the re-stationing of an Egyptian ambassador in Israel, which will enable us to further strengthen relations with this important and key Arab country."